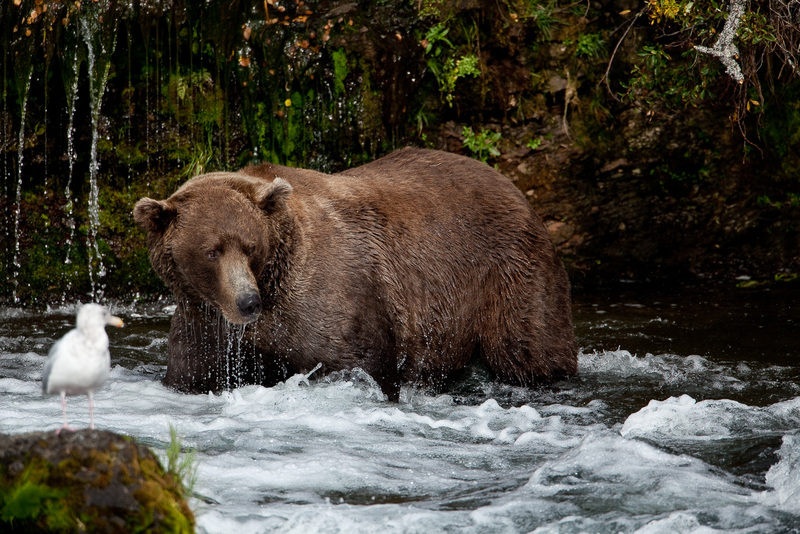 This large brown bear or known as a grizzly scans the waters for fresh sockeye salmon during the last run of the season. Each bear has their own technique for fishing. Photo © copyright by Lance B. Carter.